I loved hearing from all of you on my sesame seed article. It’s great to see how many of you in our active worldwide community are following Step 3 of the Osteoporosis Reversal Program and looking for additional ways to use the Foundation Foods. Also, I heard your message loud and clear – you want more articles about specific foods. So here’s another in what will be a series on bone-supporting Foundation Foods. I give you… the cucumber. As we age, our bones tend to become less dense. And our hair drier and nails more brittle. Does this have to happen? No. Feed your body what it needs, and you can keep your strong bones and the glow of youth long into your “senior” years. One of the things your body needs is silicon, often referred to as silica. The loss of bone density, as well as the dry hair and brittle nails, happens in part because our bodies lose silica as we age. To replenish your store of silica, look no further than the humble cucumber, which has extremely high levels of silica. It’s instrumental in collagen formation. Collagen is a fibrous protein that is responsible for holding us together. Without this connective tissue, we would essentially fall apart in a gooey mess. It facilitates the assimilation of calcium. Without adequate silica, our bodies can’t make use of bone-building calcium, and it can be leeched from the bones. If you’ve heard about silica/silicon, you may be wondering what the difference is. Here’s the scoop. Silicon is one of the most common elements found in the Earth’s crust, but it’s never seen in its raw state. Silicon combines with oxygen to form a silicate ion (SiO4). Silica-rich rocks include obsidian, granite, and sandstone. In the human body, silica is a vital component of collagen and is found in all our connective tissues. For the purposes of this article, I’ll use silica, but don’t be confused the next time you see one or the other. Cucumbers also contain magnesium, which works in synergy with calcium to keep bones healthy. I go over magnesium and how it assists in bone health in more depth in the Osteoporosis Reversal Program. Did you know that cucumbers are really fruits, and that they’re close relatives of that other cool summer treat, watermelons? Most of cucumbers’ nutrients, including most of the silica, are in the skin, so to get the most out of your cucumbers, don’t peel them. If you can get organic, unwaxed cucumbers, you can safely eat the skin. Otherwise, make sure you use a vegetable wash to get rid of the wax and other toxins. Even though cucumbers don’t have a ton of fiber (about 1 gram in an average cucumber), the fiber they do contain can hold up to 30 times its weight in water. Wheat bran, usually considered a star in the fiber universe, holds only four to six times its weight in water. Many popular cucumber recipes involve pickling, or the use of vinegar. The acidifying effects of vinegar neutralize the cucumbers’ health benefits. If you want to enjoy a vinegary cucumber dish, substitute apple cider vinegar, which is alkalizing and will actually boost the nutritional value of your dish. Cucumbers’ flesh is almost 96% water, which makes them extremely hydrating. Perfect during a detox regimen and for maintaining that healthy, youthful glow. In addition to water, cucumber flesh contains ascorbic acid (Vitamin C) and caffeic acid, both of which can be helpful in counteracting water retention. 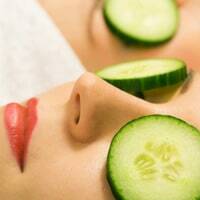 You’ve probably heard of putting cucumber slices over your eyes to reduce swelling – well, it actually works! The caffeic and ascorbic acids in cucumbers make them effective for soothing tired eyes, taming the ouch of sunburn and other burns, and providing soothing relief for many types of dermatitis. Next time you burn yourself, reach for a cucumber. Note: Even though coffee contains caffeic acid, caffeic acid has no relation to caffeine. True to their “cool as a cucumber” reputation, cucumbers don’t like heat, so make sure to keep them in your refrigerator – they’ll stay fresh for several days. Once you’ve sliced into a cucumber, be sure to put it into a sealed container or wrap it tightly in plastic. Don’t let your cucumbers sit at room temperature for too long, or they’ll lose their crispness. Puffiness is a sign that they’re getting long in the tooth. Cucumbers should be firm, and a bright medium to dark green. I add a few slices of raw cucumber to veggie burgers instead of pickles. One of my go-to quick meals is a healthy cucumber sandwich. I use hearty, alkaline sprouted whole-grain bread and spread on some of my homemade tahini. Then I layer on sliced, unpeeled cukes, tomatoes and onions and top it off with fresh alfalfa sprouts – is your mouth watering yet? If you don’t have access to sprouted grain bread, any whole grain bread will do. I sometimes juice cucumbers along with other bone healthy Foundation Foods for a refreshing taste and an additional nutritional boost. 1. In a medium-sized bowl combine the apples, cucumber, and dates. Pour the lemon juice and mix well. 2. In a small bowl, mix the yogurt with the honey, basil, parsley, and cilantro. 3. Pour the dressing on the apple-cucumber mixture and sprinkle with almonds. What a pleasure reading the comments. Have always enjoyed cukes and now usually eat them most of the time. Usually eat as is; your recipe and the comments of those eating the salad may push me to go the combination step further. Vivian, I am so thankful for all of your website and for all your dedication and research. I am finally instituting many of your ideas to help increase bone density. You are the gal who got me started on my journey. This question is in regard to nightshade vegetables, which include the very popular tomato and white and sweet potato. Some science says that the oxalic acid content of these vegetables can interfere in the absorption of calcium. I believe that there is still much research that needs to be done to prove or disprove that possibility. What is your take on nightshade veggies? Once again, thank you for your amazing dedication to helping all of us become more aware of how to increase our bone density and overall health. So you can pickle slnicig cucumbers? I have never canned anything, I usually just stick stuff in the freezer. I’ll have to see what kind of refrigerator recipes I can turn up, because I’m not sure I’m ready to learn how to can. My husband is Vietnamese and he makes me some cucumber soup . He stuff these cucumbers with a little ground turkey and produces a great tasting soup. Does the heating of cucumbers alter it’s properties? I am glad I found this website. Gives me HOPE. Cucumber recipe really great. I feel better and think alcaline all the time when i am shopping.We enjoy the meals for stronger bones . Thank you for your time Vivian. I must say , this salad is not just good for the bones , but is also great stasting. Thanks for all the great recepies. Thanks for so many great hints to incorporate in my diet. Due to its phytoestrogen content, I don’t recommend soy anyway! 🙂 Almond milk is a great alternative. INGREDIENTS * 1 tomato, choeppd * 1 cucumber, seeded and choeppd * 1/4 cup thinly sliced red onion * 1/4 cup canned kidney beans, drained * 1/4 cup diced firm tofu * 2 tablespoons choeppd fresh basil * 1/4 cup balsamic vinaigrette salad dressing * salt and pepper to tasteDIRECTIONS 1. In a large bowl, combine the tomato, cucumber, red onion, kidney beans, tofu, and basil. Just before serving, toss with balsamic vinaigrette salad dressing, and season with salt and pepper. I love cucumbers, and eat as much as I can in summer. Q Do courgettes, melons, marrow also have these benefits? I enjoy these fruit/veg too, and it would be great if they had health and bone benefits. My current favourite cucumber recipe is to mix some plain yogurt (I use Greek) with small amount of mayo and seasonings to your own taste (I uses Maggi, liquid garlic, sometimes season-all). Add very finely chopped red onion, fainely chopped cucumber and fairly finely chopped tomato. Mix in well and put in the fridge. It’s lovely with baked potato, savoury baked egg, quiche, savoury bread pudding….. Or instead of pickle in a sandwich (drained first). I have tried repeatedly to connect with you on Facebook, but always get the message that my password – and now even the confirmation Code are incorrect. that cucumber salad!!! What a treat! I am glad to know about the healthiness of cucumbers. I thought I just liked them! My favorite way to eat cucumbers, other than in a salad, is on whole wheat (thin-sliced Pepperidge Farms) with a little scraping of mayonnaise and WATER-CRESS. The water-cress helps with iron, the cucumber with calcium and they taste wonderful together. The Save Our Bones manual is a paperback; there is no hardcover book. I realize that the graphic we are currently using makes it appear as though the book is in hardcover; I apologize for any confusion. I think I have excellent bones, shiny hair and strong nails. I’m not young, but I’ve been a vegetarian since I was 17 and vegan now for about 35 years.It’s a family joke that i’ve always included seaweed in just about every meal – if possible. I eat organic food and a lot of it raw and as fresh as possible.I’ve now discovered brown seaweed extract – concentrated seaweed which will take heavy metals out of the body as well as supplying organic minerals. I’m also a fan of organic silica (liquid) and a positive outlook. We should always be thinking health not disease. Does plain raw yogurt lose any of it’s good effects if honey and alkali fruits are added to it? 1-Do pickles have the same benefits as cucumbers? 2-Do blood types and people vary in how people benefit from foods? 3-I try to eat alkali foods, but get burning when I urinate, pain there and also a sore throat from fruits and veggies. This problem is called vulvodynia. So how do I cope with a -3.5 osteoporosis , when the things that are supposed to be good for me either burn me, or give head or stomach aches? For this skin irritation it is necessary to eat the opposite of your osteoporosis diet. Meat&dairy are recommended,and going light on veggies and fruits. so it would be your 80/20 theory in reverse! I’m between a rock and a hard place! HELP!!! roseinthewoods@gmail.com if anybody has real help for this please respond! Vivian, I juice the English cucumbers are they the same as organic? After reading Shirley’s comment of 7/1/2010 I would like information of the program she’s own. Thanks!!! I was diagnosed with osteoporosis in my spine today after having a bone density scan. My doctor wanted to put me on medication, but I told her I wanted to try a natural approach. I already am excercising for my high cholesterol and eat a nutritional low fat diet including lots of fruits, vegetables, fish, buffalo, chicken, seeds and nuts. I love cucumbers and grow them in my garden. This article definitely gave me a positive attitude toward treating myself without medication. Thank you. Add to your diet, a product found in the dairy case. Until now I was just-sometimes taking look at the articles, today first time I read the comments and I liked to be a part of you, who share information. Thank you Vivian. From now on I’ll try my best to have time for more reading of comments, and make comments. AND HAVE IT EVERY DAY. I LIKE YOUR SALAD (cuke). KEEP UP THE GREAT WORK YOU ARE DOING. Thank you Vivian. you are indeed a gift to the world and to us who suffer from osteo, you are a God send. Thank you for the fascinating and useful info on cucumbers and sesame seeds – and the tasty and healthy recipes – all very very helpful. Please keep up these ‘healthy eating’ tips. I just had an appointment with my doctor and mentioned that statins and biphosphonates reduce the bodies natural ability to produce CoQ10, ubiquinone. He replied that he had never seen a study that reflected that information. Is there such a study and if so was there a “P” factor that showed a statisical significance? I would love to obtain a copy and enlighten him! Try Dr Mercola’s website. He cites research info. There are lots of studies on this. Here’s one by Fisher, Reszka, et al. : “In Vivo Effects of bisphosphonates on the osteoclast mevalonate pathway”, published in Endocrinology, 2000. And this one by Hargreaves et al. : “The effect of HMG-CoA reductase inhibitors on Coenzyme Q10: possible biochemical/clinical implications”, Drug Safety, 2005. Luckman wrote “Nitrogen-containing bisphosphonates inhibit the mevalonate pathway and prevent translational prenylation of GTP-binding proteins, including Ras”, published in the Journal of Mineral Research, 1998. Thank for the cumcumber receipe. I had my regular check up on Friday.She couldn’t understand why I wasn’t taking Fosamax. I told her I choose not to. My insurance won’t pay for a another bone density but every two years. So, I will keep doing what I’m doing and feeling good about. I like hearing about everyone improved bone density. Next year you can hear mine. I use my VITA-MIX (best thing I’ve ever bought) and I put : filtered water, (Arizona or California) carrots, and organic cucumbers, with a bit of stevia. Blend till its pulverized / smooth, and drink. Thanks for all the healthy suggestion! God bless you and your readers with good health! Keep up the goodwork of updating us….. I knew the cucumber is good for you. But this article was very interesting. I just made one of your recipes last night. It was really great. Well, have been following the program, and looking forward to having a check-up bone density test in October. Feeling great. Here are some great jucies:Cabbage JuiceCabbage juice is known for its talibiy to heal peptic ulcers. It’s is full of vitamin K, C, fiber, manganese, B6, Folic Acid, Omega 3 fatty acids, calcium, phyto-nutrients anti-oxidants. very low in calories. Cabbage is so good for you. Recent studies show that people who eat most cabbage have a significantly lower risk of colon, lung, ****** prostate cancer. Even compared to other people that eat lots of veggies. Red cabbage has even more nutrients protects against Alzheimer’s disease (Food Science Technology). Juicing cabbage is a superb way to get the best out of your cabbage. Cabbage provides anti-carcinogenic glucosinolates (anti cancer fighters). When you cook cabbage, you kill the special myrosinase enzyme that makes the cabbage so healing, thus making cabbage less effective as anti cancer food. Drinking it straight might be a little too much in the beginning. Then, simply mix it with carrot juice. Start with juicing carrots. Every day add some cabbage leafs until you’re used to the taste (The taste isn’t that strong). You may also try other cruciferous family members of cabbage such as kale, broccoli, collard greens. ===================Carrot JuiceHere’s my favorite carrot juice recipe. I make this juice almost every morning. Very quick easy:1 lbs large carrots (washed peeled)1/2 lemon (peeled)few green leafs such as red lettuce or carrot greens1 applePut all ingredients in your juicer. (A centrifuge juicer is easiest for carrots.) Mix. Drink immediately. I peel the carrot for taste (otherwise it tastes too earthy). 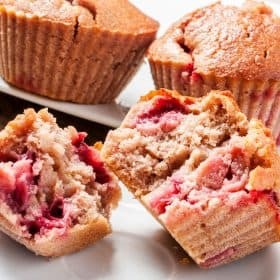 I find this recipe sweet enough, but if you’re a beginner juicer or have a sweet tooth, add an apple for extra sweetness. The health benefits of carrot juice? It provides Vitamin A, B Vitamins, Vitamin E many minerals (including calcium). Great for pregnant nursing mothers, eyesight, bones teeth, liver nails, skin hair as well as helping in ****** skin cancer prevention. ======================Jicama Carrot ParsleyGood juice for jicama lovers.1/2 of a jicama7 carrotshandful of parsleySlice the jicama into strips. Wash the carrots cut into pieces. Process all the vegetables in the juicer.=================Tomato JuiceAre you looking for the best of all tomato juice recipes! This one is! 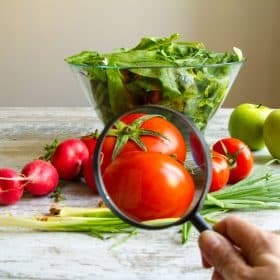 You can juice the tomatos in a juicer but if you have a high speed blender such as a VItamix or Blendec Blender you like more body to your juice, you might like to use the blender in stead. Here’s the recipe for your own V8 juice: quick, easy yummy!3 cups chopped tomatoes1 stalk celery1 cucumber3 drops stevia (optional)1/2 teaspoon himalaya sea saltPeppercayenne pepperJuice the tomatoes, celery, cucumber in your juicer. Add drops stevia if you like a sweeter taste, salt, pepper cayenne pepper to taste. If you like you can also add a 1/4 onion, fresh oregano basil red bell pepper.Mmmmm so good! ==================Spinach JuiceThis juice recipe is perfect for starters of veggie juicing. It’s soft sweet. Very tasty. Not bitter or strong at all.1 bunch spinach2 apples1/2 lemon, peeled (optional)Put all ingredients in your juicer. A twin gear juicer such as the Green Star Juicer is best for extracting greens. Mix well enjoy. You don’t have to add the lemon, it’s good enough without it. But I just love lemon, so I always add a little. ============================Wheat Grass Juice w OrangeJamba Juice has a great wheat grass juice recipe: They serve their wheat grass with a slice of orange. I really like that idea. It makes the wheat grass a little fancier. in case you don’t like the taste of wheat grass after finishing your juice, you can take a bite of the orange! Wheat grass is so good for you! It has most of the vitamins minerals needed for human health. It is a complete protein with about 30 enzymes. It has up to 70% chlorophyll (which builds the blood). It’s an excellent source of calcium, iron, magnesium, phosphorus, potassium, zinc. it’s one of the best alkaline foods. Read more about the amazing qualities of wheatgrass.=======================Golden GoddessFresh apples, jicama, beets and carrots will leave you feeling divine. 1 Golden Delicious Apple washed, seeded and quartered4 carrots washed1/2 jicama peeled and cut in slices to fit in juice hopper1/2 red beet washed1 inch fresh ginger root1/2 small lemon peeled Wash all vegetables. If vegetables are not organic be sure to peel. In juicer place apple slices one at a time, carrots one at a time. Add jicama, beet, ginger root and lemon. Juice all ingredients and pour into glass and enjoy. Again, thanks so very much for the info re: cucumbers. I have always loved them and did not know that they were so beneficial to our heath. I love the cucumber recipe and hope you will be making this addition a regular to your emails. Stay well and safe. Love to hear from you. Thank you very much for the interesting foods that are good for our bones. Yes I enjoy cucumbers in Salad & Tahini spread with cucumber, olive oil & a sprinkle of pepper. Dear Vivian: Thanksyou so very much for the cucumber Salad. I eat it olmost every day. But de Salad with all toguether sound delicius. I want to ask you If the green planters, is good to eat , than the ripe ?…..I eat very often. The same sesame seed. As I know cucumbers can help strong our immunization, but now I know also can help strong our bones too. I love cucumbers but find that it does not agree with me. I have used silica in a liquid form before. What are your thoughts on that? Thank you for info of cucumbers. cucumbers are good for bone health. Thank you for the cucumber salad recipe. It sounds delicious. Keep the recipes coming. It’s what I need. Instead of sour cream in the Creamy Rasberry Pie I substitute plain yogurt and it cooks up the same but has less calories. And it’s still yummy! I would be interested in the receipe for creamy raspberry pie if it is still available. I really love cucumbers on a salmon sandwich. It may sound strange, but it is awesome! We live in the country and have a beautiful garden, so we enjoy fresh vegs.all summer.Really love cukes! Thanks for the tips! I bought your book “The Bone Health Revolution. May family does not think I eat enough protein. Do you have a book with menues and recipes,telling me what and how much to eat each day. Thank you for your time and helping us. I Love cucmbers and never knew they were healthy for my bones. I have hyperparathyroidism and wonder if your program will still work for me? Having surgery for this condition is not a consideration for me since they may have to remove most of the glands and leave me on calcitiol for the rest of my life. We are growing cucumbers in our garden and love them. I TOO HAVE BEEN DIAGNOSED WITH HYPERPARATHYROIDISM,SEVERE OSTEOPOROSIS OF THE SPINE. (have had osteo for yrs0 will not take meds. suggestion is tumor on the gland,possible exploratory surgery…NOT all testing (nuclear,as well),ct scan,thyroid ultra-sound showed No adenoma. will this program work for me,and help to correct hpt situation ? Please see http://www.parathyroid.com for urgent information! HPT could be the cause of your osteoporosis. Please research this site so you will understand hyperparathyroid disease is from overactive glands and that surgery to remove them is the only solution. The adenomas do not alway show on scan but they are there. Yes, get on the Save Our Bones program immediately. Once the overproduction of PT Hormone is stopped you can begin to rebuild bone. I keep a jug of filtered water in the fridge with slices of cucumber in it. The cucumber imparts a really lovely, subtle, thirst-quenching taste to the water. I don’t know if it makes the water any healthier but it does make me drink more water so that’s good in itself. I am so appreciative for all your info & the reader comments, despite the warnings, due to 3 vertebral fractures over 2 years combined with the fact my source of month to month income is very physically labor intense, I have made the decision after 2 years of study, to start Forteo on July 9. I have been less than impressed with the coordination & incredibly confused office personnel who have been less than compassionate, totally inefficient & filled with conflicting info, yet always able to warn me about the side effects. If anyone out there would like to communicate regarding their experience or info regarding this medication, I am anxiously here to listen. I took Forteo for 2 years and actually felt great. I am a very busy person and I walked as much as possible for exercise. My bone loss was 33% and that scared me into doing something. I came out of the osteoporisis catagory and haven’t so far felt any effects of the drug. I do have a little joint pain but I think that is age. I am 62 and I stopped taking Forteo last Oct.2009. My doctor wants me to take something else now but I have not decided????? One of your guests asked for input from people who have taken Forteo. It is the only drug I have consented to take, doing so after 5 collapsed vertebrae and two broken knees. My doc, a lovely man, convinced me it was necessary declaring 95% of the people had great results. I didn’t. Was very sick every day of the 17 month treatment. Gained only 5% bone density, and that was in the first couple months. His physical therapy dept. was of more help than the Forteo. thanks for this reply….I am beginning to believe it might be a good idea to somehow find Forteo clients & make comparison results as it seems the so called confidential patient registry is solely for the drug company. I have requested my doctor inform his other clients, I would love to communicate with them….but I hope those HEPA laws do not prevent this. I was very disappointed to read your story however 5% increase is better than nothing but maybe not if you feel il the whole time. If as you say PT helped more, that is important info.Keep doing it!!!! Our bones are the structure that holds us together literally & figuratively. Once a person undrestands why their skin is dry, they can begin learning effective ways of providing the care needed to restore it back to a healthy condition. There are many home that you can do yourself, without spending lots of money on commercial skin care products. Thanks for all the infomation. Very informative. Thanks for sharing yet another scrumptious cucumber recipe! You can add feta cheese cubes and some fresh belpeper if you want to. Oregano goes very well with it, too. I have heard about the many uses there are for cucumbers. 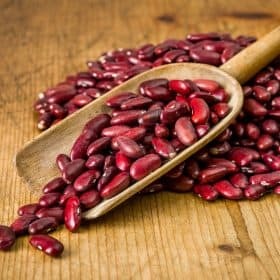 Not only are they healthy to eat but they are very good for many other things. Since I have learned about them, I have been using them more than ever. You are a gem to share the cucumber information. Thanks again Vivian for the lovely cucumber salad – I use a fair amount of cucumber and always buy Continental or Lebanese – should I look for organic – as well as use any variety of other cucumbers?? Blessings Kelsey AUSTRALIA. Thanks for the info. I always put cucumbers in my garden type salads, but I use flavored rice vinegar because it tastes so good. Do I need to switch to cider vinegar? Love cucumbers. My mother always washed the cucumber well and then scraped down the side with a fork – then when you slice them they look very pretty on the plate or in a salad. I like them sliced super thin. The cucumbrs this year seem to be better than in the past. MMMMMMMMMMMMMMlove them. THANK YOU VIVIAN FOR THE INFORMATION ABOUT CUCUMBERS; I HAVE TO INCORPORATE THEM IN MY SALADS. I CONSIDER IT A GREAT PIECE OF INFORMATION; THANK YOU FOR SHARING IT WITH US VIVIAN. Thanks for your cucumber salad recipe. I stopped taking Actonel couple of years ago. I am fine cause I go to the Y daily and do my daily exercises. I ate a lot of fruits and veggies and fruit juices. I take supplements instead of prescription drugs and your book is my reference all the time. Thanks for the good work. from a friend’s email but the detail about it will make me sure to use it. I love cucumbers and have 2 plants growing and 2 tomato plants. The cuke skin would kill my stomach, but I might use the skin for a quick facial. My Dr.told me if I fall and break my hip, because I refused Forteo, that I will probably die. Having broken my back twice in the last year I prefer being careful than poisoning my body and paying 880. a month to do it.So I am now very careful and use the quad cane and less activity…..
Hi Vivian! Thank you so much for your advice on sesame seeds. I love them and sprinkle them on so many things. Also I am anxious to try your cucumber sandwich idea! It looks yummy! Thanks for all your help and for being in my ‘corner’! I really appreciate these recipes and yes, my mouth is watering for the cucumber sandwich. I also appreciate the pages in your book about what is alkalized and what is not. Thanks Vivian for that very helpful information. My hair skin and and eyes certainly could use the cucumber – I really need to boost collagen levels! I eat heaps of cucumbers in the summer but slow down in the winter. My mother always made a simple salad using cucumber, tomato, onion, a bit of parsley and a dressing made from lemon, a little sugar (I use honey) some olive oil and pepper. It is quick, easy and quite delicious. I am going to start that doing again. The salad keeps for ages in the fridge which is another added bonus. Thanks for sharing your mother’s recipe, Coby. I add my thanks to everyones for this interesting and informative article. I love learning about food especially if it will help my bones. What is a vegatable wash please? It is a very mild detergent made especially for fruit and vegetables. You only have to put a few drops in the water you use to wash your vegetables with to help remove chemicals and other nasties from them. I rinse my veges after I have used it. Can you buy vegi wash in England, or is this only available in the USA??? I would be very interested to know!! P.S. : f3bito previo al aiendccte de Fukushima.Next, God commands Moses to instruct all who are skillful, whom I have endowed with the gift of skill, to make Aaron’s vestments, for consecrating him to serve Me as priest (Exodus 28:3).I don’t want to see you on an episode of “Divorce Court”, but maybe you could suggest a white painted islandto go with your maplewood stain. Meanwhile, two in five adults (41%) own a basic mobile phone, making smartphone owners the most predominant of the two. Thanks for stopping by, and I do appreciate your comments. You can buy veggie wash in some health food shops. Thanks for your article on cucumbers. I love them and get the mini one for salads or just to munch on. I like cucumbers and next year I will make sure we plant them in our garden. I went for my annual check-up last week and was fearful my doctor would be upset that I had not gotten the Reclast injection. He was not but it was obvious he believes everything the drug companies tell him. He said it was my choice not to take the drugs. My mother taught me, 60+ decades ago, to rub the juicy inside of (field) cucumber peel all over my face while preparing a salad. Cooling and nourishing. And one of my favourite recipes mixes equal amounts cucumber and tomatoes as a sweet-sour vegetable dish, flavoured with chopped onions and parsley. I used to carve out designs in cucs, but that is loosing some of the skin, from now on no carvings and use all of the skin, thanks 4 ur advice on foods. Thank you for your article. I have always liked cucumbers, skin and all, very much, so it is reassuring to know that they are good for me, too! I use cucumber slices instead of chips with dips or salsa etc. Cucumbers are a natural antacid and quite alkalyazing. The cucumber salad recipe looks great. My husband and I both rely on both cucumbers and apples when we eat foods that might trigger excess stomach acid. I can only eat cucumbers peeled, myself – my digestive system can’t handle the peels, even with enzymes, but that is because I have digestive issues (Celiac disease and other issues) and have to limit peels. I eat cucumbers every day and they help my digestive system a lot. I love them! I agree with some folk here that the skin can be a bit of a challenge. I’ve got a juicer and which is the perfect solution. I really notice the difference they make to my skin and nails. Great stuff! Thank you for the informative email today about the benefits of eating cucumber. Unfortunately I cannot stand the stuff, so I am losing out. very well. I would like to thank you for all your continued support and the ‘saveourbones community’ long may it continue. It’s good to feel you are not alone. Thanks for all your bone building tips. I will no longer peel my cucumbers after reading your article. Just had a bone density done (same machine as 1 yr ago) and got good news – bone density had increased by .4 % in one year. This reverses bone loss that took place over a period of 4 years. My primary care doc has become a believer. This is really working for me and I’m delighted! Yes… “seeing is believing”, right? If one has a recipe to share, is this the venue? I enjoyed the sesame and cucumber articles. I shared your book with my book club and many are wanting to order your book. Thanks Vivian for the cucumber info. I use them in salads several times a week and they are great for puffy eyes too. Tell us about HONEY combined with CINNAMON. I got an Email that says it cures everything from Cancer to Heart Disease. Any help to bones? That honey & cinnamon email is “making the rounds” for sure! Some claims may be more valid than others, but both are alkalizing items, taste great together, and can be used in many ways …eg, on ancient grain cereal or bread (spelt, quinoa)instead of sugar or jam. I appreciate this article very much. I am going to try the cucumber salad. Thanks again. I really appreciate all of the information that you share on increasing our bone health…naturally!!! Thank you for your desire to help and bless so many other women/people. God bless YOU!!! I can’t wait to try the recipe. I’m growing 3 different kinds of cucumbers in my garden and one is just about ready. Again, thanks for keeping us informed. Thank you for the great report on cucumbers. I have always added them to our family menus and so good to know the benefits for bone health. I make a health nut sandwich, using health nut bread, found in most grocery stores. Add a very thin layer of low fat cream cheese, sliced cucumbers, layer of raw spinach, sliced tomato and a dash of pepper. Very yummy and low in calories. Thank you for the cucumber article. I love them. Thank you for the cucumber article. What I find is that most of your suggestions come close to the diet my vegetarian grandparents and followed (in India). They never had bone problems and lived long and relatively healthy lives.Thanks again. Thanks for the valuable info Vivian. I will not be peeling my cucs from now on. I sure do appreciate all that you do for all of us. What do you know about rice vinegar for marinating cukes? It tastes great. Very good! Have you indicated the value or not of drinking spring water (alkalinity) for your bones? Spring water contains inorganic minerals, which don’t really belong in the body. For starters, try chewing your food really well. You might also want to increase your steamed veggies intake vs. raw. I also have a weight problem. I love the cucumber salad recipes since they are low calorie. I will start having them unpeeled now. I like the idea of the tahini spread with sesame seeds but worry about the high calories. When I started this plan I began eating plain lowfat yogurt sweetened with truvia and also started using a lot of apple cider vinegar. I became very gassy. I eliminated these 2 items and have not had the problem with gas any more. Vivian, thanks again for your great help. I have begun adding some slightly ground sesame seeds to my oatmeal and I already enjoy fresh cucumbers from our small garden, however, now i know not to peel them! Thanks Vivian for this in-depth article on the cucumber (very pleasant to read too). For those in the community who avoid cucumbers because of acid reflux or burping issues they may cause: sprinkle your serving with dried dill weed (may be half a teaspoon, more if you like dill!) It works! Smooth digestion. Thank you very much for all your info on the food stuff. I knew about some of the properties of Silica, but didn’t know cucumber had such a wealth of it. I love it in salads but cannot tolerate the skin which is a pity now knowing most of the benefit is in the skin. Vivian, I just wanted you to know that I have been trying to follow your diet. I opted out of taking any of the osteoporosis medication because it upset my stomach, and I believe that dealing with problems in a natural way is better that taking all the chemicals doctors want us to take. After a year of eating your way, I have moved from being osteoporosis to being osteopenia. I am heading in the right direction. Not as quickly as you did, but if I followed your program 100%, I’m sure it would reverse my condition faster. Thanks for helping. I have diverticulosis so I eat cucumbers but I cannot eat the skin or the seeds. Do I still get the benefits? I love cumumbers but had no idea how good they are for me. Thanks Vivian. They are growing in my garden which will be organic.